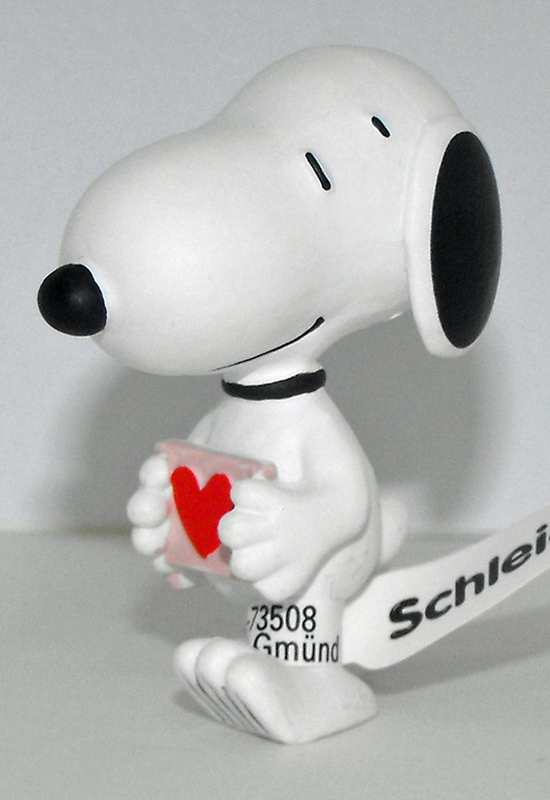 This Snoopy with Heart Peanuts figurine is about 2 inches tall (5cm), made of PVC plastic and is made by Schleich in 2016. Snoopy is holding a Valentine's Day Heart. The meaning is "You are so loved." This is a limited edition Valentine's Figurine.